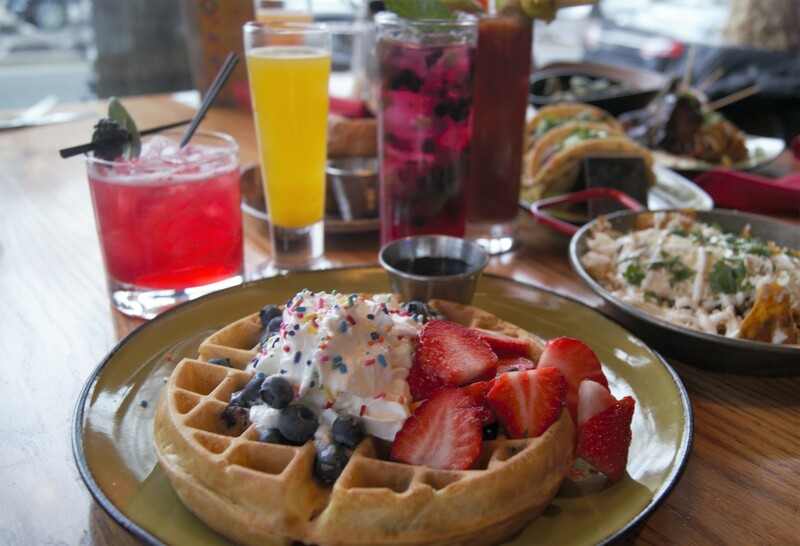 Palette 22 is a delicious option for brunch, happy hour, or anything in between. 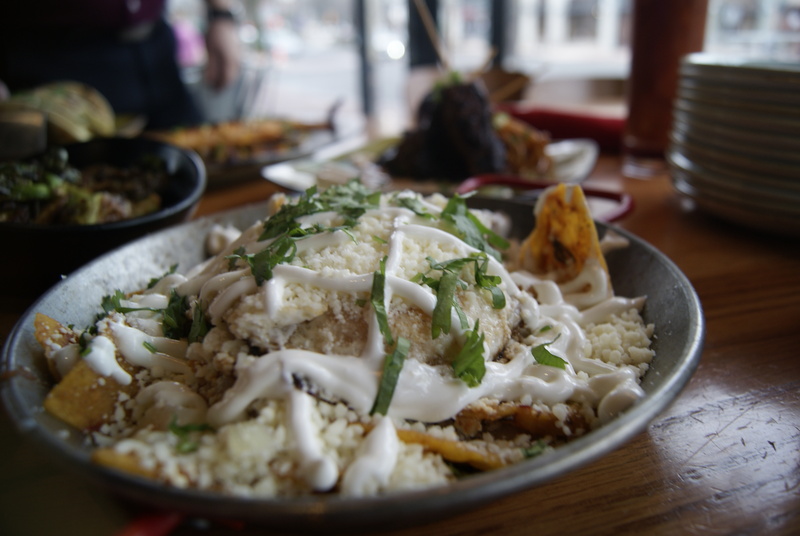 Right in the middle of Shirlington, this eclectic small plate restaurant is one you definitely need to try. Have you ever walked into a restaurant and just known right away that you were going to like it? That's how I felt at Palette 22. 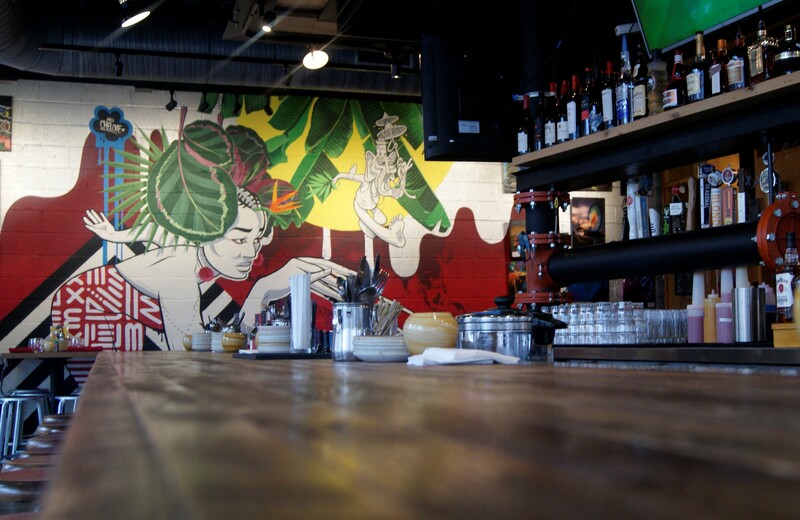 The walls are covered in gorgeous murals and local art created by a team of resident artists. The entire space has a fun, festive vibe to it that makes you know you're somewhere special. I met with Tom, the General Manager, who walked me through the restaurant. "Globally inspired street food" was his response when I asked about the overall food concept. "We bring you dishes that you would see throughout the world at stalls, in markets, etc. 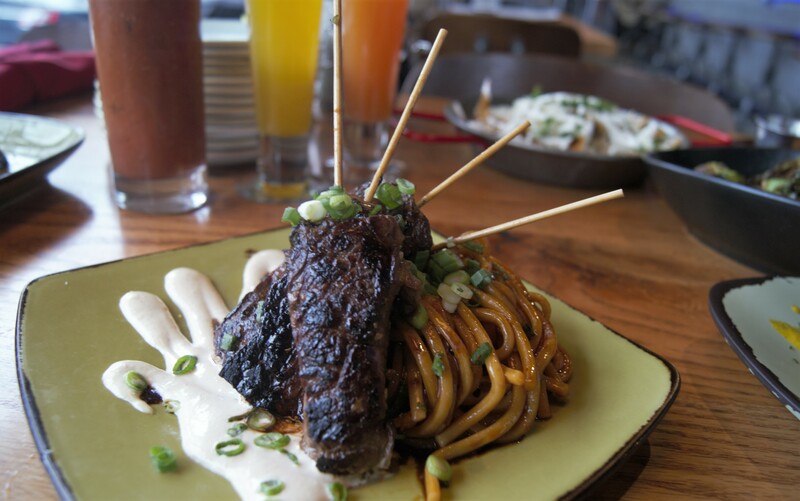 We also take classic American dishes and serve them up with a twist." 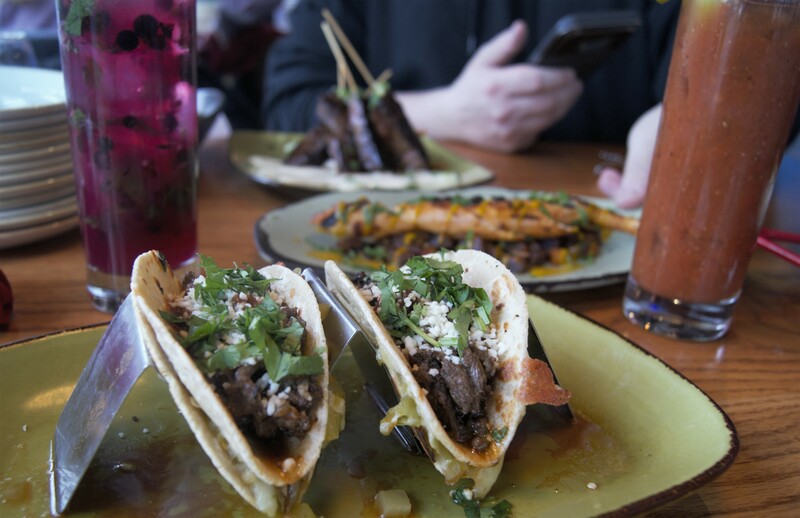 These are no ordinary street tacos -- they start with a quesadilla base and fill it with succulent mojo-rubbed ribeye strips. They're then topped with a tingly chipotle sauce, pepper jack cheese, and cilantro. These are SO good! 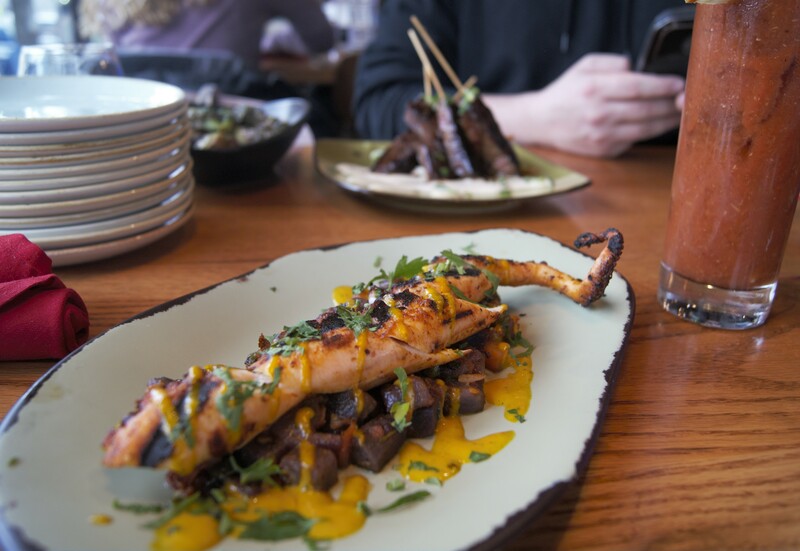 The char on this octopus was pure heaven. The result was a smoky, tender bite that is so hard to accomplish. The purple potatoes were a great mellow counterpoint to the tangy aji amarillo. This was my favorite dish. The steak was beautifully cooked and came with a gorgeous soy ginger aioli. The soba noodles were tossed with a nice, light spicy sauce. 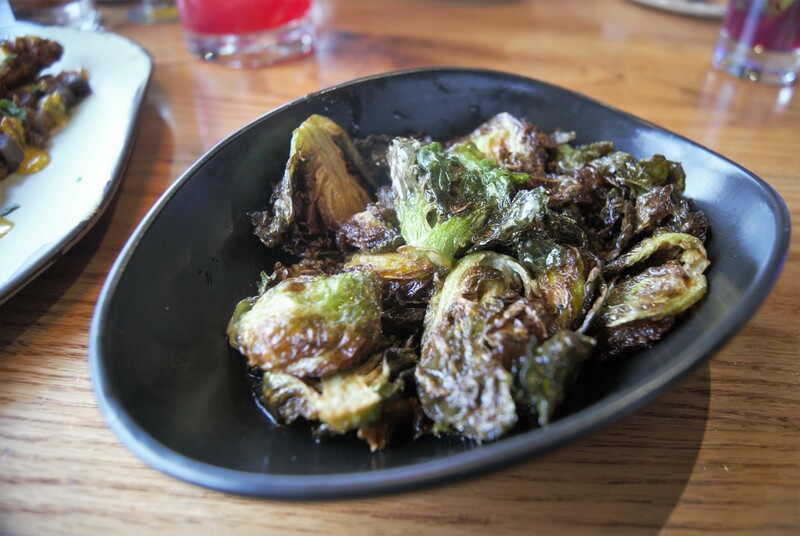 If you love Brussels sprouts, this may become your favorite dish. The sweet-hot ghost pepper honey sauce is incredible, and you'll find yourself trying to recreate this one at home. This is Mexican comfort food at its best. Freshly made chips are softened in a heady combination of cheese and salsa then topped with a perfect fried egg, more cheese, and crema. Bliss in a mini skillet. This French toast was a revelation. The exterior was so crisp, you didn't expect the inside to be so pillowy soft. It was served with a smooth chocolate sauce and a generous dusting of powdered sugar. Tom made this waffle for us and piled it high with whipped cream and sprinkles. The blueberry waffle itself was fluffy and light with just the right amount of zing from the fresh berries. Of all the cocktails pictured, I think my favorites were the passion fruit and blood orange mimosas. Next favorite would be the velvety smooth blackberry-sage margarita. The Blue Boy Mojito was a delicious non-alcoholic option, and of course, we had a classic Bloody Mary with all the trimmings. Who would like this restaurant? I can't think of anyone who wouldn't have a great meal here. 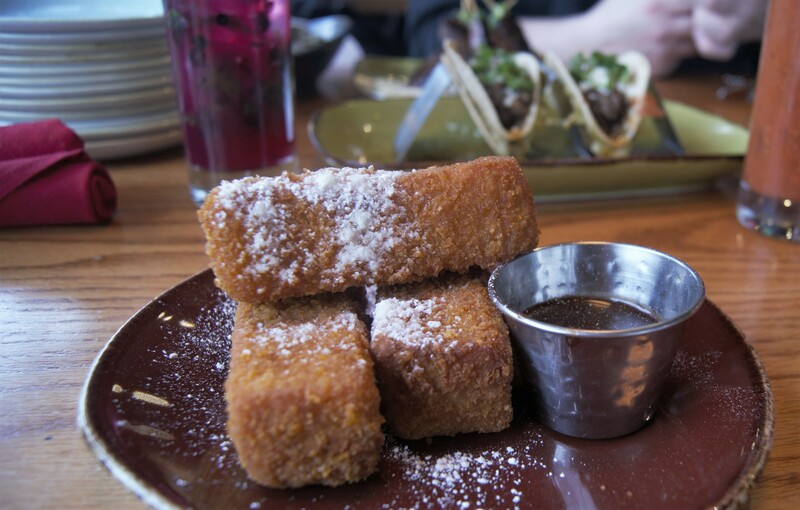 The whole small plate concept encourages sharing and trying tons of different options. Take a look at their extensive menu -- there truly is something for any taste. Kids would like the fun atmosphere and can watch the resident artists at work during lunch or dinner. The amazing cocktails make this a great place for happy hour, and you really can't beat the brunch special. 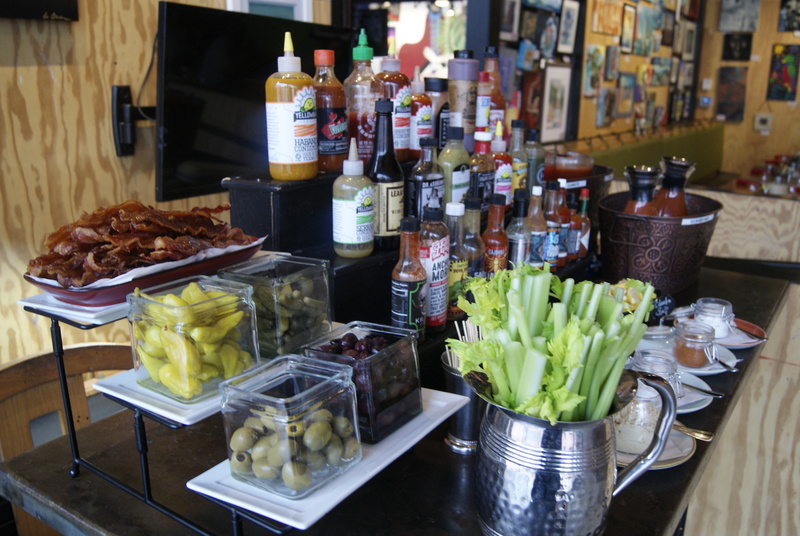 A street taco station, make your own waffles, AND a Bloody Mary bar? What's not to love? 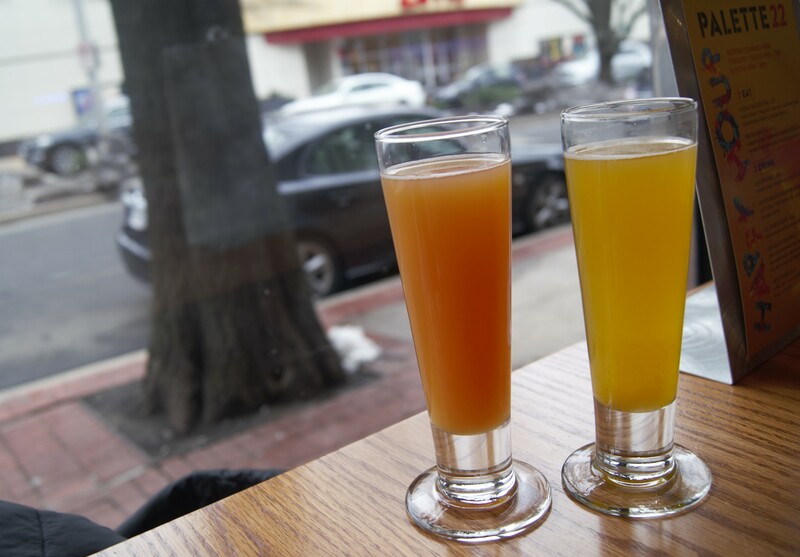 Located right off 395, it's easy to get to from D.C. and almost anywhere in NoVA. 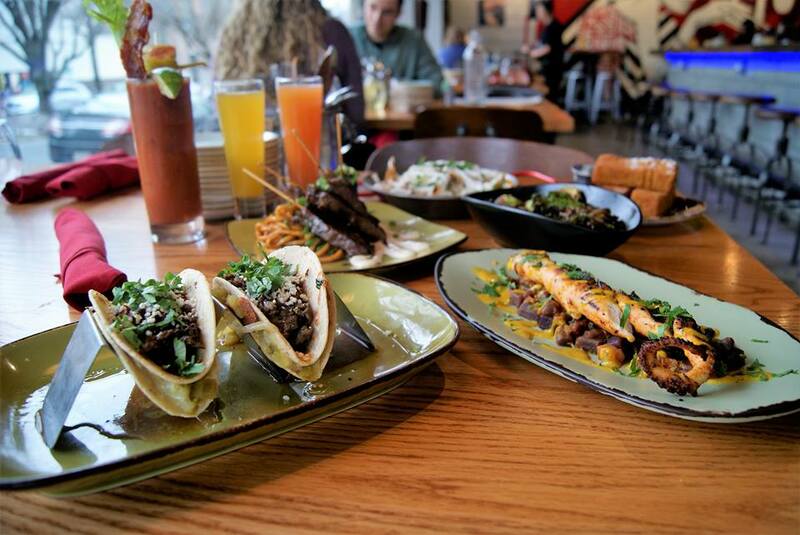 Check out their upcoming events and specials here ... AYCE tacos anyone? 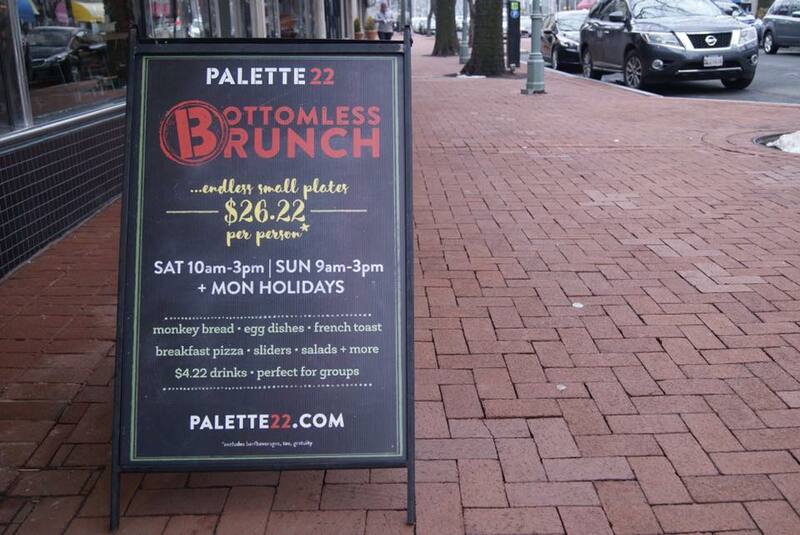 Palette 22 is located at 4053 Campbell Avenue in Arlington, VA. Peruse their menus online here. **All photos in this article are by Sarina Petrocelly or Tony Petrocelly. Disclaimer: we were treated to this spread by Palette 22. They wanted our OCN readers to get an idea of what's waiting for them if they come out for a meal. Everything shown is exactly what you would get if you ordered straight from the menu. 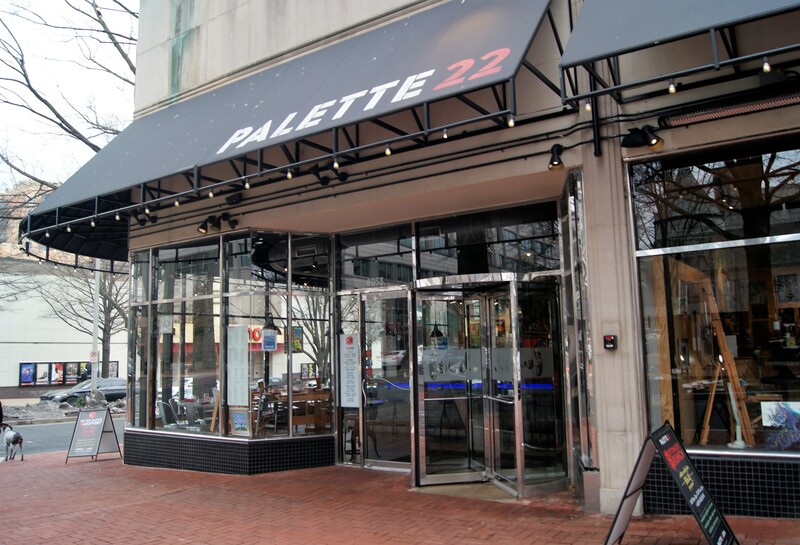 Have you been to Palette 22? What is your favorite menu item or cocktail? Let us know in the comments below! In the mood for some NoVA barbecue? Check out Sarina's last NoVA food adventure (at Smokin' Looney Q in Woodbridge) here!